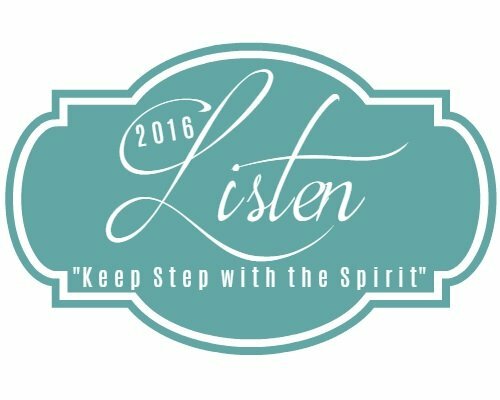 It is quite fitting that my sister-in-law’s words are being featured today for the Listen Close, Listen Well series. At this moment she is on her way to Haiti to love and serve the precious people there. She is living out the very message that was on her heart to share with us. May we be inspired and challenged as we count the cost of following Christ and “go”—no matter where it takes us. Surrender your possessions, surrender your rights to be healthy and safe, surrender your future, your spouse, your children, your comfort; give it all to God so He can fully use you. This is what I heard God saying to our family in April 2015. 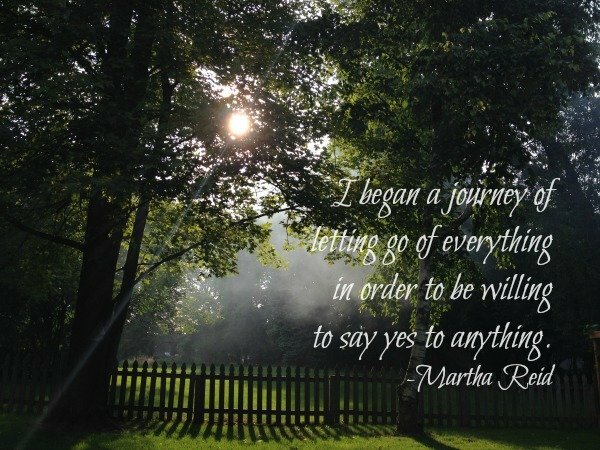 I began a journey of letting go of everything in order to be willing to say “yes” to anything. A moment in time defined our direction as a family and as followers of Jesus Christ. A single moment of recognizing God’s call on our lives to “go then and make disciples of all nations baptizing them in the name of the Father, and of the Son, and of the Holy Spirit” (Matthew 28:19) caused us to reevaluate what we hold dear. In seeking the Lord for clarity on this call, to disciple the nations, I walked through a nearby nature preserve with marked trails. The trails were beautiful and wild, full of life and choices. They gave room for quiet and stillness to breed humility as the Lord began to reveal more of this call. Stop at every intercession and wait on Me. I will direct your path. This is what I understood the Lord speaking to me in this season. Of course, at the next intercession on the trail I stopped and waited for direction. When I looked up there was a huge mass of dead and intertwined trees covering small ground cover. Sometimes there is massive death covering life. The seed is planted and there is life, but it has nowhere to grow and little access to the sun for nourishment. It takes work and effort to cut away that which is dead. You get cuts and scrapes. Once the dead is cut down and bound with rope and removed, then what is underneath can flourish. It grows quickly with access to the sun and freedom to grow without death pushing it back down. This scene was the challenge God gave me. There are people who have a seed of faith planted in their lives, but also have much death and destruction around them. It is difficult and painful to reach through lies, betrayal, addictions, anger, rage, fear, and grief in order to cultivate the seed of faith that has been planted, but it is always worth it. People are always worth it. The next step in the journey was to obey what God was speaking to our hearts and to keep taking the next step, trusting that He would direct our path. I began to truly count the cost of being a follower of Jesus. Counting the risk, the loss, giving up comfort and trading them in for obedience, no matter the cost. People are worth the sacrifice of safety, health, and wealth. In processing through the grief of leaving family, the familiar, and ease of life—if the Lord asks us to move to a new people group—I am increasingly humbled and overwhelmed and see this opportunity to serve the Lord as a great privilege. Who am I to be the hands and feet of God; to be the arms and voice of love to people who do not yet know Jesus Christ; who do not yet know true love? Fear of the unknown began to dissolve as the peace of God settled in my heart. Are you willing to do what you have never done before so that you may have what you have never had before? Martha is a devoted wife, adoring mom, and a creative child of the King. She enjoys speaking, painting, sewing, and dancing for God’s glory. Martha and her husband serve the nations at home and abroad. 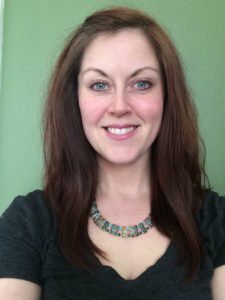 Read Martha’s other guest posts here and here. Would you join me in praying for Martha as she serves in Haiti? Pray that God would strengthen and keep her as she speaks hope and touches others with Jesus’ love and truth. Bravo! This is a marvelous read. So honest and wow does it hit home. Letting go is not easy but very liberating. Never easy, but necessary quite often. Hope you’re doing well Lux, I appreciate you.